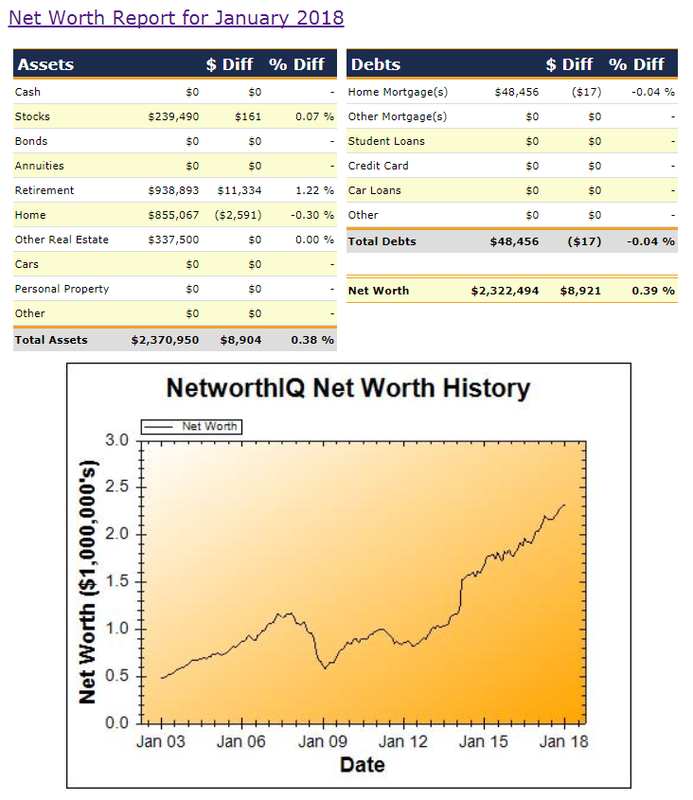 My personal net worth increased slightly during January (up 0.45% to A$2,322,494), mostly due to an increase in the value of my retirement savings (up 1.22% or $11,334). My geared stock portfolio ended almost unchanged at the end of the month (up 0.07% or $162), having given back most of the month's gain during the final two trading days. As expected, the estimated valuation for our home decreased during January (down 0.30% or -$2,591), driven by weakness in the Sydney real estate market reflected in average sales prices for our suburb.